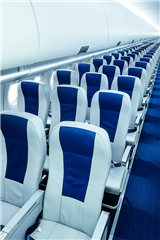 SIASA AIR is a lead company with wide experience in aircraft interior redesign, specialized in the Manufacture and Restoration of Seat Dress Covers. Offering high quality products with lead times, customer service, design and trust. SIASA AIR is your Interior Partner!